Nigel Mukhi, David Howe and Matthew Carpenter made more than $300 million of sales between them in 2014 on the way to qualifying for this year’s Top 100 Agents ranking. So when they talk about the importance of time management, it makes sense to listen. Getting the most out of one’s time is vital, but so is putting in a lot of hours each week, they believe. All three are hard workers, although it’s a matter of opinion whether they cross the line into workaholic status. Like many agents, they’re conscious of trying to balance sales activity with family responsibilities, exercise and leisure time – and conscious that they don’t always succeed. That raises the crucial issue of work-life balance. They love their job, but also wonder if it might not be possible to enjoy some more downtime. Then reality intrudes: vendors deserve the best possible service and if they’re not willing to provide it, some other agent will. The star agents also discuss underquoting and vendor-paid marketing in this intriguing back-and-forth discussion. How ruthless are you in the ways you control your time? I bring the issue of time management up with other teams and with my team because I’m not really that good with my own time management. John McGrath always suggests that we have an ideal week, but I can’t keep to an ideal week because things pop up and therefore it’s difficult. I have Monday training with Josh Phegan, and he makes us all accountable for our time management. If I can’t control my own time I make sure that my staff can control theirs, so I let them know that certain parts of the week they have to do strictly prospecting and nothing else, or they have to go and do letter-dropping or door-knocking to bring in the business. I’m a little bit different. I’ve probably got a little bit more structure, but it’s still quite relaxed. I generally have no appointments before lunchtime. I lock some things in my diary. For instance, I have a young family, so on Tuesdays I leave at 3:30pm to pick up my daughter from day care and that’s in my diary every single week. Gym is in my diary too, so nothing gets booked over that. My team and I invite each other to all our appointments, so we know exactly what’s going on and things don’t get booked over. On Mondays I generally don’t do any appointments unless it's someone that needs to list, otherwise that’s just for call-backs and office time. Then on Fridays, I try to not have any appointments. I might do a couple of meetings, but generally from lunchtime onwards, I might be playing golf with a few other agents or having lunch or a bit of time to myself. I run a very structured diary. I know what I’m doing from Monday at 8am right through to the following Monday morning. Every single day is very structured. If I get a call from an appraisal today, I’ll never do it today – it will always be tomorrow because today’s already structured. I simply can’t fit another appointment in, otherwise it will turn my day into chaos. I have Thursdays off, but very rarely do I actually have them off, I’ll go into the office in the morning and try to get out in the afternoon. Monday mornings are my vendor calls and my call-backs, and Monday afternoon are for appointments. Tuesday is an entire day of meetings – I might get one appointment in on a Tuesday afternoon, but other than that its call-backs. Wednesday is appointments, Thursday is a day off and appointments, Friday is appointments and Saturday is open houses. How many hours per week do you do? Do you need to be a workaholic to be a top agent? If you want to get somewhere in the first couple of years then, yes, you’ve got to slog it out, especially if you don’t have assistants. But you’ve got to have some form of balance and you’ve got to keep yourself happy. If you’re happy and you’ve got good energy, you’re going to do better than someone who’s stressed and has rings under their eyes from being up working all night. I think you have to work smart. I work 10 hours a day because I really enjoy what I’m doing. People ask why I have to go to work at 7am. It’s because I wake up and I’m excited about work. I go to the office, spend 60-90 minutes clearing up all my emails and getting myself ready for the day. Why do I stay to seven or eight o’clock at night? If I don’t get my work done, I feel uncomfortable, I’m responsible to my vendors and if I don’t talk to them by 7pm every day, then I feel I am missing something. I do that five days a week. On Saturday I call it a day after my last open, which is probably about 3pm or 4pm. This is not a 9 to 5 job. If you want to make a million dollars, then why are you not working 50 to 60 hours a week? I probably do about the same hours, but for me I’ve got two little kids so I’ll come home, because the worst thing for me is not seeing my kids for 24-48 hours. That can happen in this industry if you’ve got early meetings or late meetings. So I try to get home, see them, then I’ve got literally a replica office of my work office at home and I’ll log in for a couple of hours, punch out the emails and get everything done so I can then switch off. I think if we’re talking about time spent at the office, I’d be very similar to David’s hours but it’s the time spent at home in that same office scenario that you can’t put a finger on. Real estate’s a numbers game and I find it very hard if I get a call at 7pm from a vendor who wants to list their home the next day and it’s a $15,000 to $20,000 commission to say, ‘Sorry, it’s my day off, I can’t see you tomorrow sorry’. I’d love to say I do about 50, 60 hours a week, but I would say I do more, but that’s OK because I love what I do like David. I think Nigel’s got the best set-up, where he’s got the flexibility of working from home and seeing the kids. I will go back if I have to, but otherwise I can be in my office at home from 8pm to 11pm if I need to be. I work out of my car. I’ll sit in the car for half an hour between appointments, get some tasks done, make some phone calls. I’m not going to go past the office because the disturbance there will be massive with staff or things that need to be done. Have you got an appropriate work-life balance? No, I definitely don’t have a magical work-life balance. I don’t think you can in this industry and anyone that says they do is lying, because you are at the beck and call of the customer. I feel sorry for these travelling salespeople that get a week away from their family, whereas we get to come home every night and we’ve earned quite good money. Everyone’s idea of work-life balance is different. I certainly don’t think I have it and, like Matt was saying, it’s not the industry where you just have a sick day. I try to have a holiday once a quarter and that’s something to look forward to, also Sunday for me is family day. Sunday is definitely an off day because that’s a day for unwinding. Occasionally, you do get a few phone calls and you do take the phone call. For holidays, I usually have two a year: three or four days for the Easter break and then in December I’ll take one full month’s leave. How much do your vendors pay for marketing? The minimum for my package is about $8,000 and it can go up to about $25,000. I’ve got a listing of $6 million at the moment and the vendor is spending about $25,000. But on average, with my average sale price at about $2.5 million, they’re spending roughly about $13,000 to $15,000. That’s cheap compared to when we started years ago when we would tell the vendor they should spend 1 per cent of the value of the property on marketing, so if your property was worth $2 million you’d spend $20,000. Now a $2 million property can spend $10,000 and get away with it because we’re more concentrated on internet marketing. What takes up the majority of that $15,000? One-third would go to internet marketing, because we subscribe to the premium packages of both realestate.com.au and Domain. If you spend about $15,000, it would be about half online and signboards, and the other half would be on print. Our packages range from about $1,600 for, say, a unit and our top-option campaign is at $3,200. Our minimum internet package is $2,800, then you’ve got signboards, brochures and everything else on top of that. And is that paid up front? Yes all our money is paid up-front. Only if it is a deceased estate we will take it at settlement, but other than that all payment is up-front because if not the agent will be wearing the cost. If the auction fails, the vendor probably will not pay the agent. What we find is if the vendor doesn’t want to pay that money, they are not motivated to sell. If they are motivated to sell, they give you a cheque for $10,000 or $15,000. How much underquoting happens in Sydney, where you’re all from? It depends on the market, and with the market as strong as it is at the moment and everyone getting crazy prices, how do you put your hand on heart sincerely and say that you know what something’s going to sell for? I believe that underquoting is definitely not on and I treat buyers how I’d like to be treated in a transaction, and that’s with clarity. There are good results out there, but as long as you’re quoting the vendor’s expectations and what you’ve said on the agency agreement you should have nothing to worry about. If, in your heart, you think something is going to sell for between $500,000 and $550,000 but you’re quoting $450,000 then that’s the wrong thing. But if you’re quoting between $500,000 and $550,000 and that’s what you’ve told the vendors and that’s what you think it’s going to sell for, that’s different. With the market as strong as it is, how do you put your hand on heart sincerely and say that you know what something’s going to sell for? 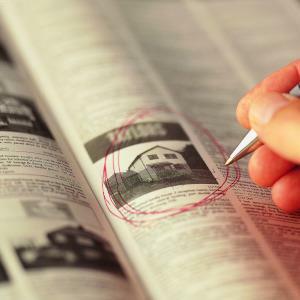 We run a very structured system and we’ve never had an issue with complaints on underquoting. I had an auction where the vendor called me and said she wanted to sell for $1.5 million. I looked at the property and told her it was worth closer to $2 million, and suggested we call it a range of $1.8 million to $2 million based on comparables. With all my properties, if I quote a range, my vendor must have assured me that the reserve will be in that range. The reserved turned out to be $1.95 million and we sold it for $2.395 million, but it was only market forces that pushed it up to that level. Most buyers stopped at about $2.1 million mark, but two buyers really wanted the property and they bidded up to $2.395 million. Do we call that underquoting? I would say no, because based on the comparables it should have sold between $1.8 million and $2 million, and we didn’t have any offers prior to auction to determine that it would go over $2 million. It’s hard in a climbing market. We go to see a vendor six weeks prior to a property coming on the market, we list the property for sale, we give them an opinion at that point in time – and then interest rates fall or the economy changes. You can’t guess what the market’s going to dictate in six weeks’ time. It’s amazing that these complaints only come about when the market is rising. When the market does turn, no one will be out there saying we’re overquoting. They’re going to be picking up properties at lesser value and we won’t get the problems that we’ve got at the moment. One thing with our system: let’s say I quote a range of $1.8 million to $2 million and somebody made an offer of $1.9 million and our vendor rejected that offer – we would have to immediately change our quote to over $1.9 million. We’ll advise the vendor about why we had to change, so that buyers who would only offer $1.85 million don’t come to the auction. I think properties have to be consistently quoted, too, especially with us when we run 17 sales agents each selling the same property. We have a listing sheet, and the listing sheet says it’s going to auction on a certain date and the price guide is a certain number, so that every single buyer that enquires on the property gets the exact same guide. Where the real estate industry fails is with multiple people selling a property, one guide is $1.8 million to $2 million and another agent says $1.6 million to $1.8 million. If you’re structured and if you’re transparent with what you’ve told the vendor, I don’t see how you can go wrong. Click here to read the first part of the discussion, in which Mr Mukhi, Mr Howe and Mr Carpenter discuss how they manage their teams on a day-to-day basis.